CAMP SMITH--U.S. Army Brig. 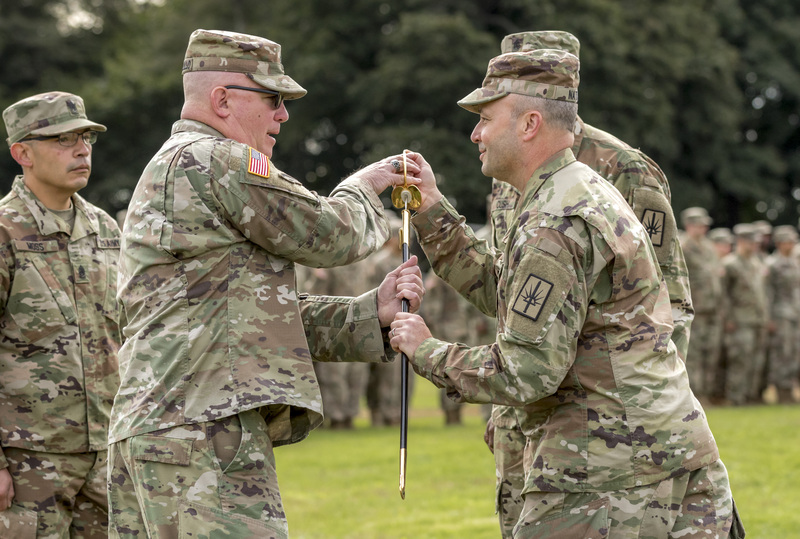 Gen. Michel Natali, commander, 53rd Troop Command, New York Army National Guard, passes the noncommissioned officer sword to Command Sgt. Maj. Thomas Ciampolillo, incoming command sergeant major of the 53rd Troop Command, during a change of responsibility ceremony at Camp Smith Training Site, Cortlandt Manor, N.Y., Oct. 14, 2018. The ceremony marked the change of the 53rd Troop Commands senior enlisted advisor from outgoing Command Sgt. Maj. Corey K. Cush to incoming Command Sgt. Maj. Ciampolillo.